that double as artwork representing your big day. Create a beautiful and memorable wedding tree guest book that doubles as a piece of elegant wall art - only from 76thandnewbury.com! 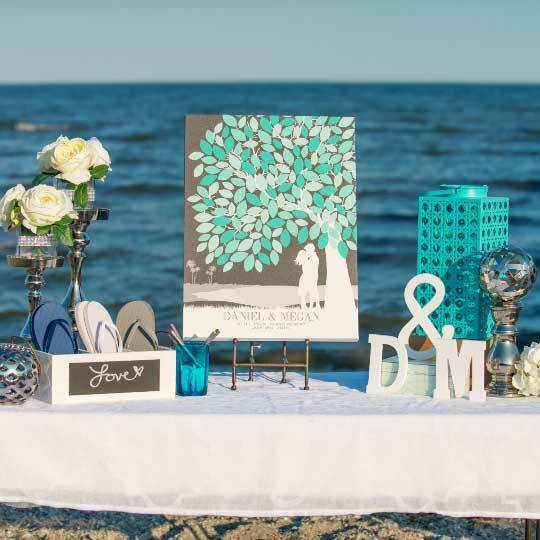 You’ll remember your special day for years to come when you present this incredible wedding guestbook, complete with customizable city or custom skyline, couple silhouette, or image made from your photo. You can provide us with your wedding colors and we’ll create a complementary color theme that will pair wonderfully with your chosen hues. Remember, each unique wedding guestbook order includes access to a dedicated Design Guru who will help you to create the perfect customized book/wall art piece, complete with unlimited revisions. Order today and we’ll ship and get Free shipping for all order over $70 to anywhere in the US! 76thandnewbury.com - your source for unique and customized wedding gifts, décor items, wall art, and more!